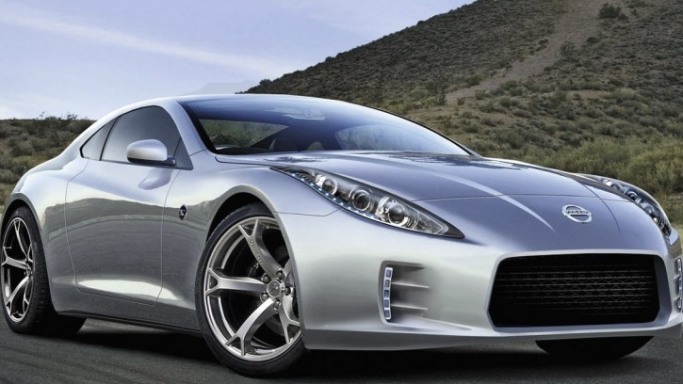 Nissan has revealed the 2013 version of its Signature 370Z sports car before making its official debut at the Chicago Auto Show. The latest offering has been decked with unassuming cosmetic changes like a new front bumper, daytime LED running lights and a fascia re-modeled with a red reflector. To amplify the car’s appeal, a brand new color scheme has been introduced along with standard 18-inch alloy wheels in the base model whereas the premium version has been bestowed with red-brake calipers, 19-inch alloy wheels and euro-tuned shock absorbers. The 2013 model gets superficial changes which are at best unassuming. The grille loses its deep intake replaced by a simplified surround. Other prominent modifications include a revised front rim spoiler that has done away with the incision of its predecessor for a cleaner, sleeker look. New LED daytime running lights have been embedded to the car's front corners. The only other noticeable change to the rear is a new red reflector underneath the license plate. NISMO versions, which have their own distinct front and rear styling, have been kept away from these modifications and instead have been gifted with high-rigidity brake hoses and performance brake fluids. The 370Z has been accessorized with standard 18-inch aluminum-alloy wheels and the 19-inch rims have been kept optional. Nineteen-inch wheels are integrated with the NISMO Sports Package that also gains red brake calipers and re-worked shock absorbers. The only noticeable change in the cockpit of the 2013 model is reflected in the addition of more speakers to the NISMO 370Z's Bose audio system. The 2013 version of the Nissan 370Z sports car has been tweaked with minor and subtle changes which are difficult to locate. However, two new colors, magma red and midnight blue have been included to amplify the car’s aesthetic appeal and add some variety to its color scheme. The ‘Euro-configured’ shock absorbers are also intriguing new additions to the car’s suspension, which are meant to pump-up the Car’s performances in treacherous terrains. What’s refreshing? Nissan rejuvenated the front and rear facade of the 370Z and added a new wheel design. In comparison to the 350Z, the 2013 edition of the 370Z permeates a more forceful design, borrowing heavily from the aesthetics of the 240Z’s design. These design cues provide a sleek aerodynamic shape, a spectacular cantilevered roof and excellent visual prominence. Nissan has declared starting prices for the 2013 Z line-up with the coupe version starting at $33,120; the roadster at $41,470; and the N.I.S.M.O models priced at $43,020 respectively.